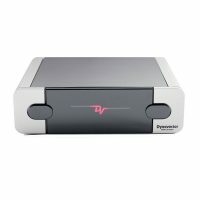 The Dynavector L200 is a 2-channel ( stereo ) line level preamplifier that provides five audio inputs (including balanced), 2 RCA and 1 balanced audio outputs and a tape/record output. The L200 has no mechanical switches or moving parts in the signal chain. Source selection is accomplished by using precision electronic switches that eliminate all the problems found with mechanical switching devices including relays. The L200’s electronic switches cannot wear out, the switch action is always perfect, they cannot corrode or change, they do not generate electrical noise, are unaffected by vibration and they operate silently. The electronic volume control offers precise gain matching between the channels over the whole volume range. You can be assured that the performance of your L200 will be as perfect in 10 years as on the day you purchased it. The output stage has very low output impedance, wide bandwidth and high current delivery for driving difficult loads right across the whole frequency range. 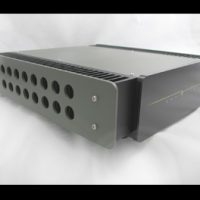 This overcomes many of the problems with interconnect cables and component matching, allowing the L200 to be used with a wide range of cables and power amplifiers. The latest surface mount technology, combined with advanced printed circuit boards that have increased thickness pure Australian copper tracks, provide maximum performance and reliability. No adjustment or calibration is required and the only maintenance necessary is occasional dusting/cleaning. 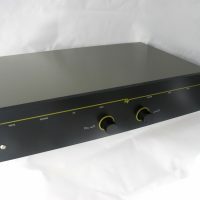 The L200 is deliberately simple and intuitive to use, while it offers true audiophile performance, there are only two control knobs so anyone can use it. The remote control handset is also simple and practical. There are only 5 buttons and it fits in the hand only one way round. Therefore you can find the correct buttons without looking at it. The L200 combines high-end audio performance with a simple functional design and appearance that will serve you and your music faithfully for many years.